Stop Pins: the vice-free approach to thin things! One of the nice ideas I came across in an old Shaper book was a way of holding thin flat things down onto a shaper. 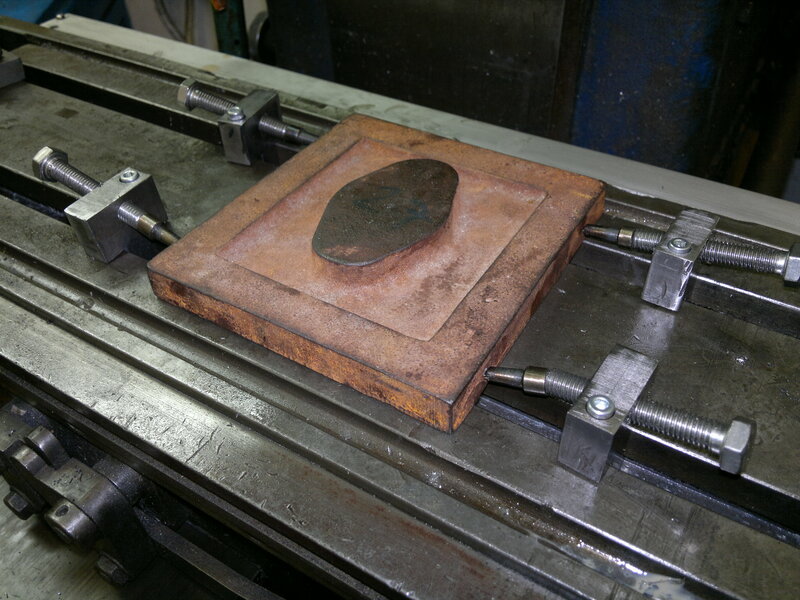 The problem with thin things is that you can’t hold them in a vice, as the jaws prevent you working to the edge, and also you have the problem of the moving jaw lifting as you tighen the vice, and the work piece lifting from the floor of the vice, and thus getting machined skewed. The idea with stop pins, is that you press small hardened pins into the side of the work with angled jack screws, these force the work flat onto the table. I have found by angling the pins, you can also locate the work laterally. In this case I decided to use the same idea on the mill, to machine the LP valvechecst cover. On the Leak compound the LP valve is a balanced design which has steam-tight sliding valves on both the port-face and the valvechest cover (this reduces the net pressure on the valve face, and thus the stiction and driving forces) – but it requires the valvechest cover to be flat and parrallel to the portface. So ensuing the cover (and the valvechest proper) are held nice and flat when machining is vital – stop-pins to the ready! 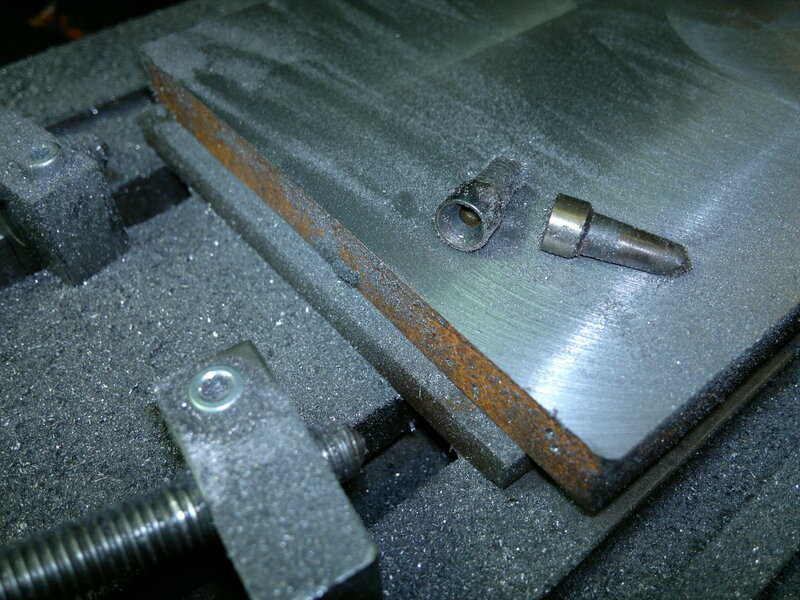 This entry was posted in SideNotes and tagged milling, stop-pins on December 19, 2011 by sybefur.